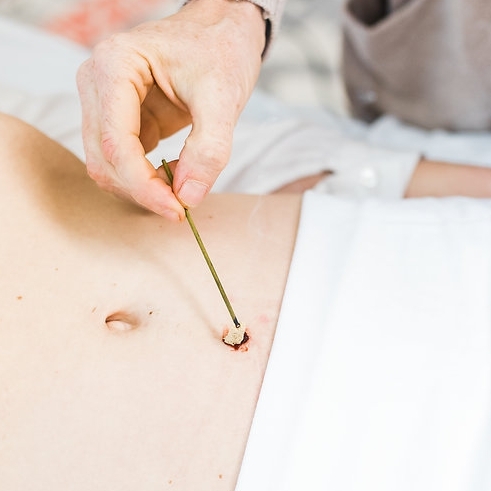 Acupuncture: Use of very fine and thin, filiform needles to stimulate various points along the body which generates a natural healing response. Promotes proper flow of qi (body’s energy and metabolism) and blood to balance the body and maintain health. Local suction is created on the skin and muscle (by either glass or plastic cups). This procedure promotes proper blood and lymph flow to help the body heal. A smooth surfaced tool is used to “scrape” and break down scar tissue/adhesions while promoting circulation along the body.